Anyone familiar with this chunk of land? What's the Missinaibi like below the reserve? Any indigenous people living within the game preserve were moved off in 1925 when it was established. There are two or three small Ojibwe or Cree communities below the preserve near Chapleau. There is no Missinaibi below the game preserve. Sorry, I was referring to downstream from the reserve rather than South of the reserve. "Below" is a dubious term. I'm trying to tell if the whitewater is prohibitive to a canoe trip with the wife. There is very little "difficult" whitewater on the Missinaibi from Missinaibi Lake to Hwy 11 at Mattice. Almost all the rapids above C1 have well used portages. For many people it's a first time ww river trip (it was for me 35 years ago). There should be tons of online info, trip reports and video. The Hap Wilson book contains annotated maps with all the details you could possibly need. Last edited by recped on April 17th, 2019, 4:49 pm, edited 1 time in total. 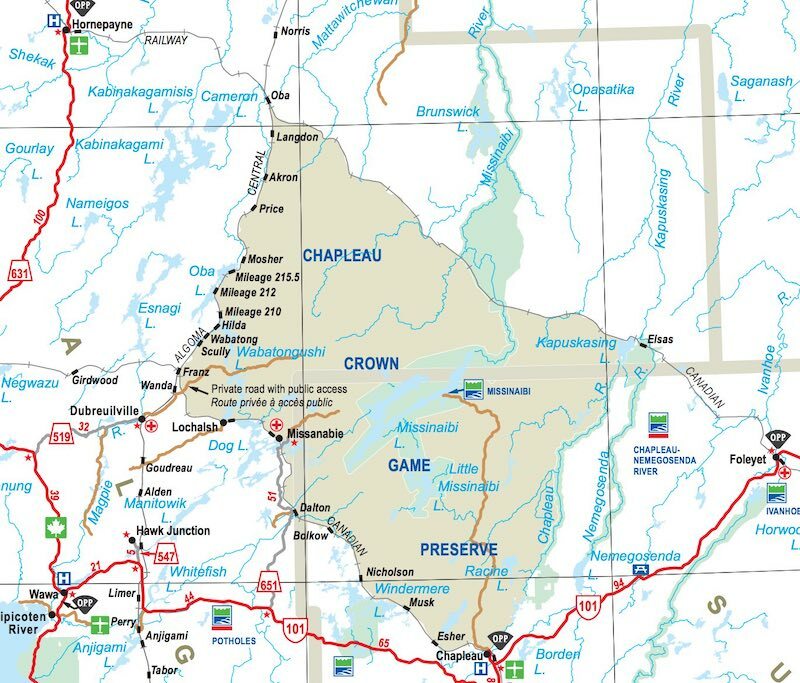 BJ, i just realized that the confusion was in your use of the word “reserve” instead of “preserve” to refer to the Chapleau Crown Game Preserve! recped - I just noticed your response as I was finishing mine but figure I will just post it anyway! Re: the Missinaibi River. You probably already know that it is one of North America’s great wilderness rivers, running free from its headwaters in Missinaibi Lake all the way down to where it merges with the Moose River some 50 kilometers south of Moosonee. others put in at Mattice and do the river down to Moose Factory or Moosonee. Check out the trip reports folder for all the variations! They will provide you with some valuable info. 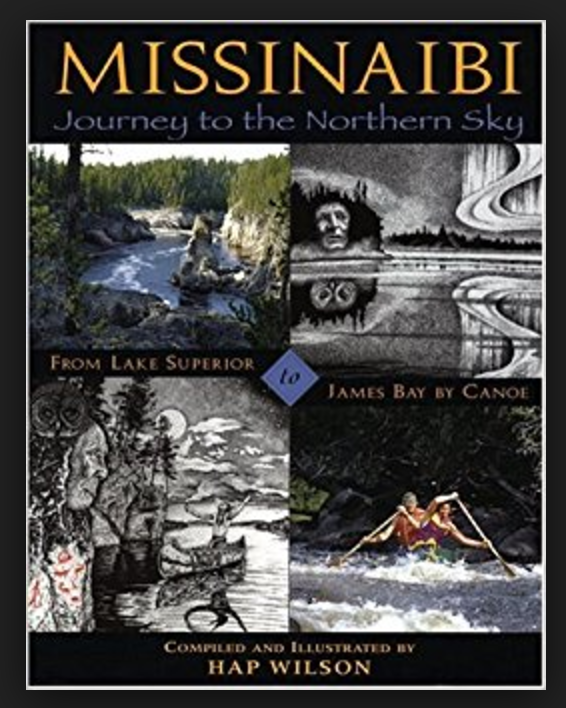 The Hap Wilson book on the Missinaibi (published in 1995) will answer all your questions about the river itself - rapids, campsites, history, etc. The revised edition with the cover below came out in 2004. If you want to start the trip just outside of the game preserve, then you are looking at Peterbell as the insertion point. The only way to reach it is on the VIA train that passes through from Sudbury on its way out west. There is not much whitewater to worry about after Peterbell and given the popularity of the river, the portage trails are well used. Good luck in your planning. Your biggest problem is in the logistics. We made use of the Algoma Central train back when it still ran to get to the headwaters, leaving our vehicle in Mattice. You could leave your vehicle in Sudbury, take the train to Peterbell, paddle to Mattice ... and then arrange a shuttle back to Sudbury. Got the book on order. Hows the primitive camping on Missinaibi Lake? I noticed there are a lot of campsites. Are they usually full during the summer? From the Crooked Lake portage put-in at the west end of the lake to the east end is 36 kilometers so you’d have to say where you plan to start your trip. 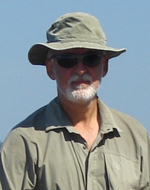 If you are going to start at the Park Campground, then you should be off the lake in two or three hours of paddling. The map above does indicate some official campsites; you may find another unofficial tent spot or two that will also do the trick. Is that what you mean by "primitive camping"? As for availability, it should not be an issue. Most of the fisherman stay at the campground and the paddlers are keen to get to the river section. If you are going to start from the village of Missanabie on Dog Lake, then you will definitely be spending more time on the lake. The designated sites at Red Granite Point and at Whitefish Falls are both excellent sites. They are not far from pictograph sites that are worth a visit, especially the one at Fairy Point across from the Red Granite campsite. It is one of the most impressive of NE Ontario's rock painting sites. For more info on the rock painting sites, see this post of mine from a trip we did in June of 2017. Here in Florida (where I am currently stuck with vehicle issues) primitive camping seems to mean no electrical or water hook-up. I chuckle that the "primitive" camping at the River Camps on the Suwannee have flat ground, a steel fire pit with grill and a picnic table. I guess the primitive part is having to walk 100 ft to the air conditioned washroom with showers and flush toilets. That's what I know as well about primitive camping. No electrical stuff nor modern tools at all.